The area surrounding the Marine Drive Canada Line station really is living up to its billing as transit-oriented development site. 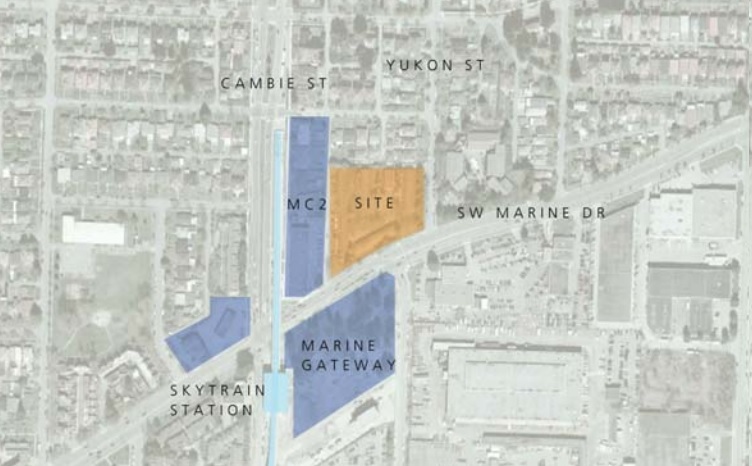 We already know about MC2 and Marine Gateway – two major developments in preconstruction right next to the SkyTrain station – and now it looks like they will be joined by a third development. GBL Architects has submitted a rezoning proposal to the City of Vancouver for the site at 445 Southwest Marine Drive (between Cambie and Yukon streets). 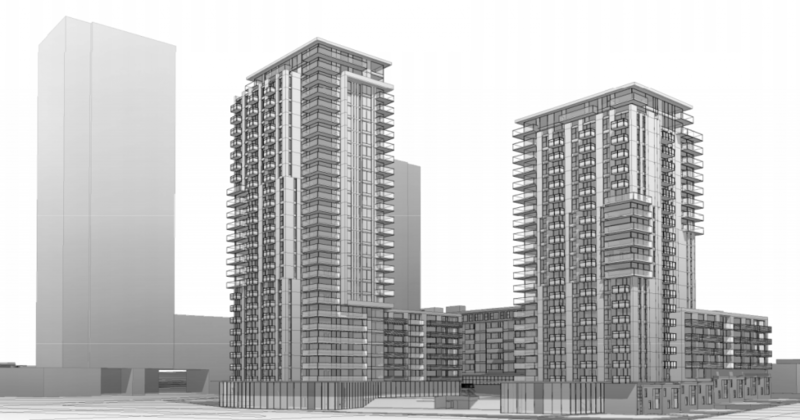 The “Marine Gardens” plan calls for a two-tower development with a total of 514 market residential units, 70 affordable housing units, a 37-space daycare in a 6.5 storey mid-rise, and 411 underground parking spaces. The first tower would be 27-storeys tall (235 feet) with a 7-storey podium, and the second tower would be 21-storeys tall (185 feet) with a 6-storey podium.